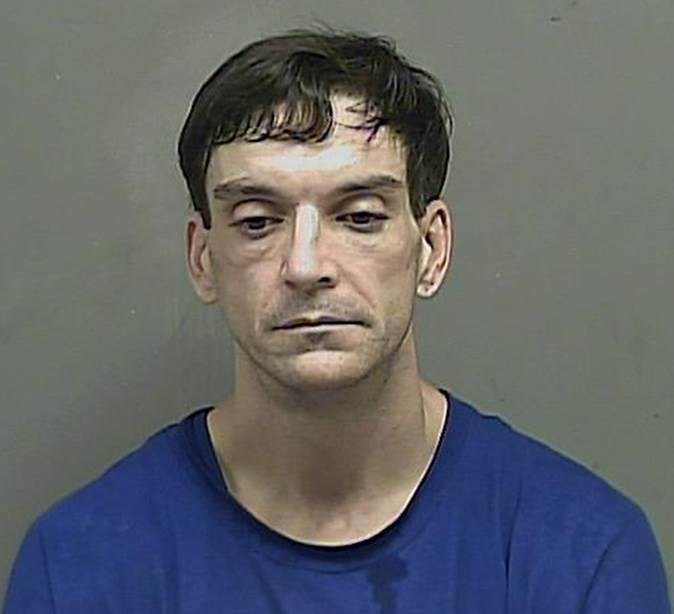 On September 18, 2018 at approximately 12:30 PM, Kingsport Police Patrol Officers responded to the parking lot of Ollie’s, located at 1151 North Eastman Road in Kingsport, to check on the welfare of an individual, later identified as John C. Autry, sleeping in the back seat of a vehicle. A subsequent warrant check on Mr. Autry revealed an outstanding warrant for Violation of Parole out of Alabama. He was promptly arrested and transported to the Kingsport City Jail. During the booking process, a K.P.D. Corrections Officer located a small bag containing what was believed to be methamphetamine in Mr. Autry’s pocket. He was initially charged as a Fugitive from Justice as well as being in Possession of a Schedule II Drug and confined in the jail pending arraignment. At approximately 8:15 PM that same evening, Mr. Autry was able to facilitate his escape from the Kingsport City Jail. He accomplished his escape by falsely identifying himself as another prisoner who was scheduled to be released on bond. While walking back to the office of the bonding agency with the bonding agent, Mr. Autry fled on foot. K.P.D. personnel immediately canvassed the downtown area in an attempt to locate him; however, the initial search proved unsuccessful. At approximately 10:30 PM, Patrol Officers were called to Brixey Art Studios, located at 119 Shelby Street. The owner of the studio reported that her Chevrolet Malibu had been stolen from where it had been parked in the lot across the street from the studio. A review of surveillance video revealed that at approximately 9:30 PM, Mr. Autry had unlawfully entered the closed studio, stolen the car key from a counter, and then used it to steal the vehicle. The vehicle was recovered by K.P.D. Detectives earlier this afternoon in Johnson City. The Kingsport Police Department had no reason to believe Mr. Autry was a danger to the public. Since his escape, K.P.D. Detectives have been following multiple leads in an attempt to apprehend him. This evening at approximately 7:30 PM, one of those leads directed Detectives to a residence in the Sevier Terrace neighborhood of Kingsport. Mr. Autry was found inside the residence and arrested without incident. He is now back in custody in the Kingsport City Jail awaiting arraignment. In addition to his initial charges of Fugitive from Justice and Possession of a Schedule II Drug, he is now facing additional charges for Escape, Theft of Property, Identity Theft, Forgery, Burglary, Theft Under $1,000, and Theft Over $10,000.